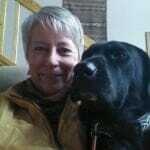 A retired elementary school teacher, Kathy lives in Harrisonburg, Virginia, with Ted, the love of her life. 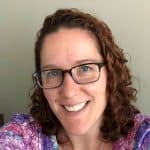 Her son Nate is a Virginia state park police officer and manager of Hungry Mother State Park in Virginia, and her daughter Emily works internationally in global public health for Medecins Sans Frontieres (Doctors Without Borders). Three adorable grandchildren get a lot of her attention: Mara (16), Brady (13) and Ryan (11). Kathy’s been cranking since 2007 and owns 6 machines (they keep following her home! ), but her first and favorite is her Home Profit Master Machine found in a Maine barn in 1994. 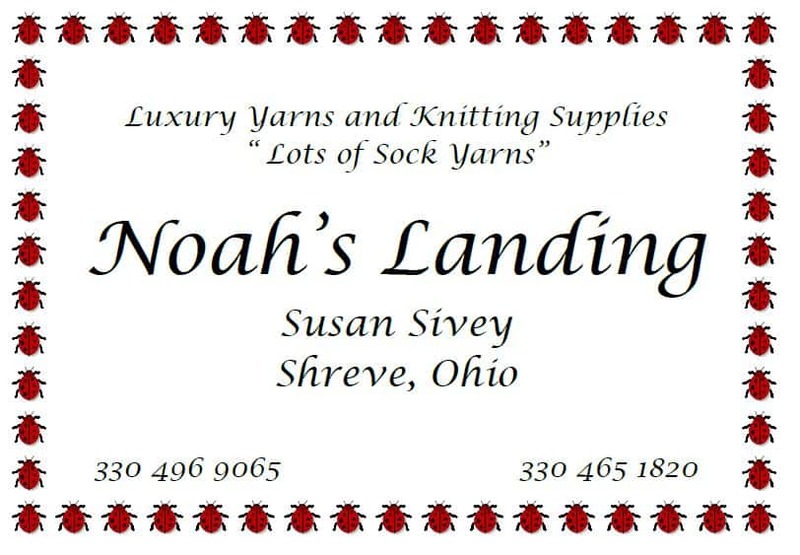 She produces socks for family and friends (whether they want them or not) as well as herself and loves to attend CSM crank-ins and conferences. 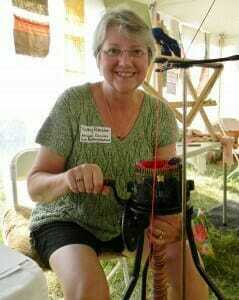 She is the primary organizer of the Shenandoah Valley Crank-In which is held every May in Harrisonburg, Virginia. 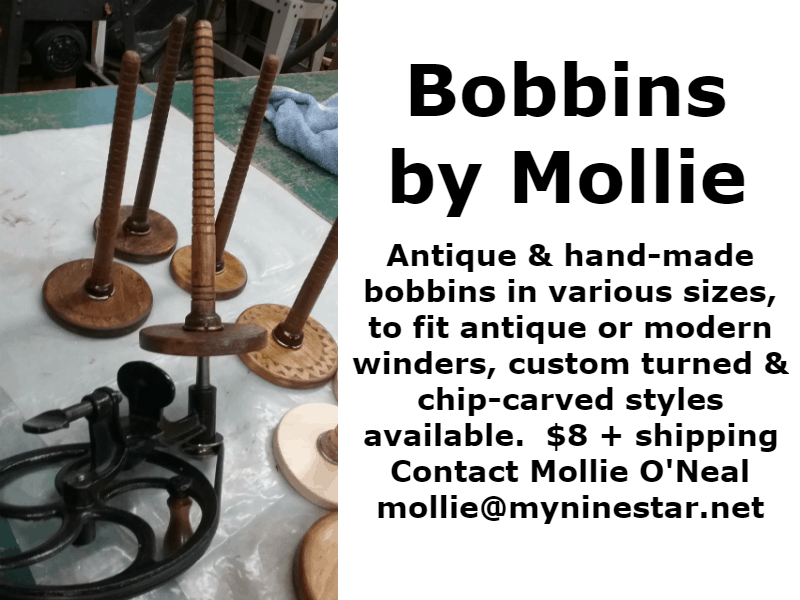 Other hobbies include European travel, excessive reading, hand knitting, sewing, almost any outdoor activity, and collecting antiques. She is learning to spin, a process which is expanding her vocabulary of swear words. She gardens in nice weather and cooks only when she absolutely has to. For several years, she drove an ambulance for Rescue40, Harrisonburg’s rescue squad, but now she earns stash money at Ragtime Fabrics. Kathy’s on Ravelry as kathycsmer. Email her at info@cskms.org. 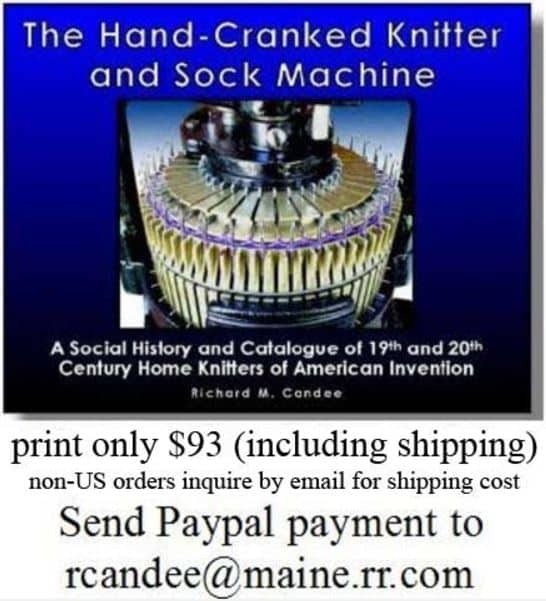 I was strictly a hand knitter before I heard about circular sock knitting machines from my friend in 2010. After watching YouTube clips, I was hooked. With very little knowledge of what I was getting into, I purchased an Autoknitter on eBay. 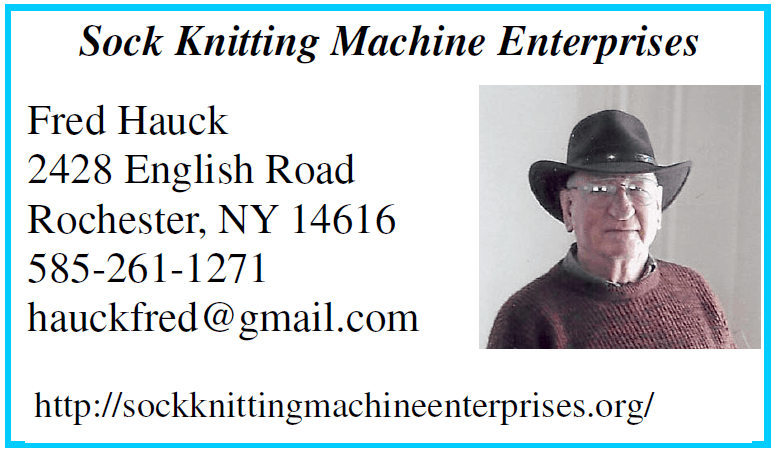 While I learned the basics from YouTube videos, I was ecstatic to find that the Genesee Valley Sock Machine Club had monthly meetings right around the corner from where I lived! Fred Hauck and other members of the club have been so helpful with tips, tricks, patterns and most importantly ribber timing! I reside in Fairport, NY with my husband Paul and our two children Honus and Ruthie. I teach reading at the Norman Howard School, a private day school for students with learning differences, and have done so for the past 30 years. Maybe one day I will be able to boast about cranking socks for equally as long! Dara’s on Ravelry as darawags. Email Dara at vp@cskms.org. 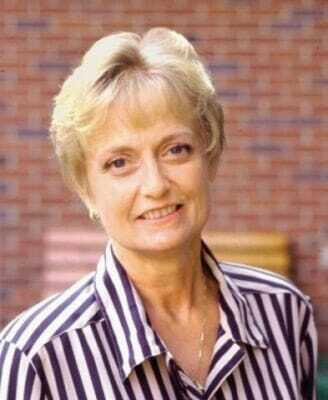 Candy’s first memory of a CSM occurred in the eastern Kansas town of Ottawa in the late summer of 1961. Early on a Saturday morning before the sweltering August heat set in, my Grand Dad and I went antiquing. Just inside an open storefront I found an old rusted 1920’s Master Machine. My Granddad was surprised that I knew what it was and even more astonished that I thought it a fascinating treasure. Being born in 1900, My Granddad came of age during the Edwardian era. Though he was always a kind man, his vision for what a young lady’s interests should be were decidedly Victorian. Though he gave into my demands for that machine it was clear he believed it was not a proper place to put my time “how was I going to find a proper husband if I was elbow deep in rust remover and smelled of gasoline?” As it turned out her high school sweetheart and future husband, Hank Terry, was a good house builder and an even better auto mechanic who found the aroma of gasoline perfectly normal. Since that first CSM find, Candy continued her journey with fiber tools using flat bed knitting machines during the 1980s and weaving in the 1990’s. Soon she returned to college to teach and complete her MA with the writing of her master’s thesis on Navajo weaving production. Candy and Hank Terry have lived in a northern suburb of Denver Colorado since 1978. Now in retirement, Candy uses her cranking time thinking up new things to make on a CSM or getting new CSM owners cranking. 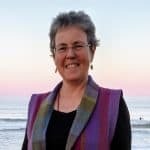 You can find much of her CSM wisdom freely shared on her YouTube videos and Blog at TheColoradoCranker. Candy can be found on Ravelry as weavecrankanspin. Email her at secretary@cskms.org. Sheryl Campbell makes her home near Buena Vista, Colorado where she owns Serendipity Yarn & Gifts. 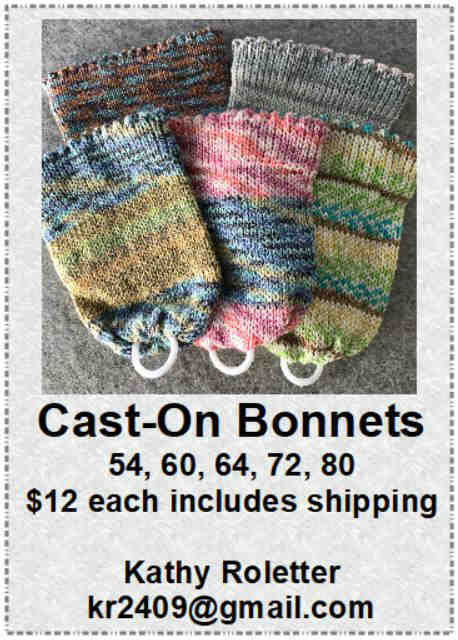 When she is not teaching knitting and weaving classes, she is cranking out socks to sell to patrons of her shop. 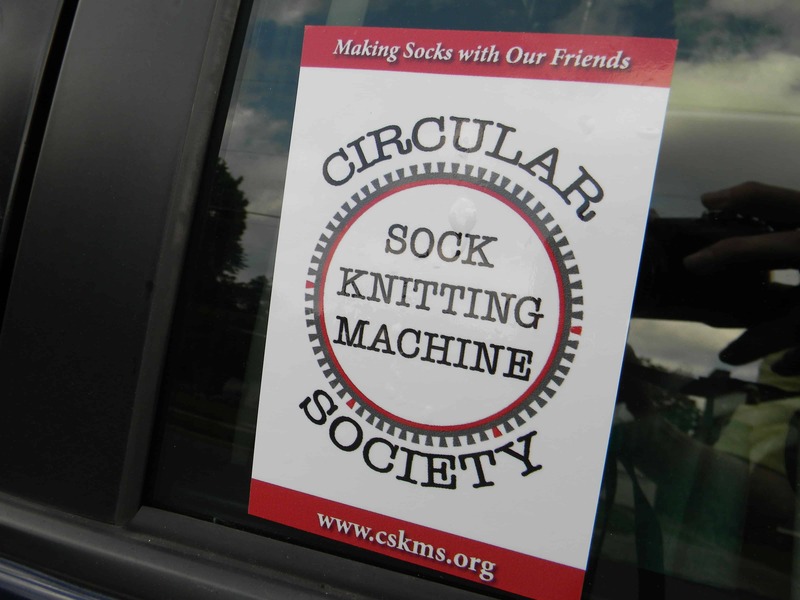 She purchased her Creelman Improved Moneymaker 6 years ago and tries to make 2 or 3 pairs of socks per week. 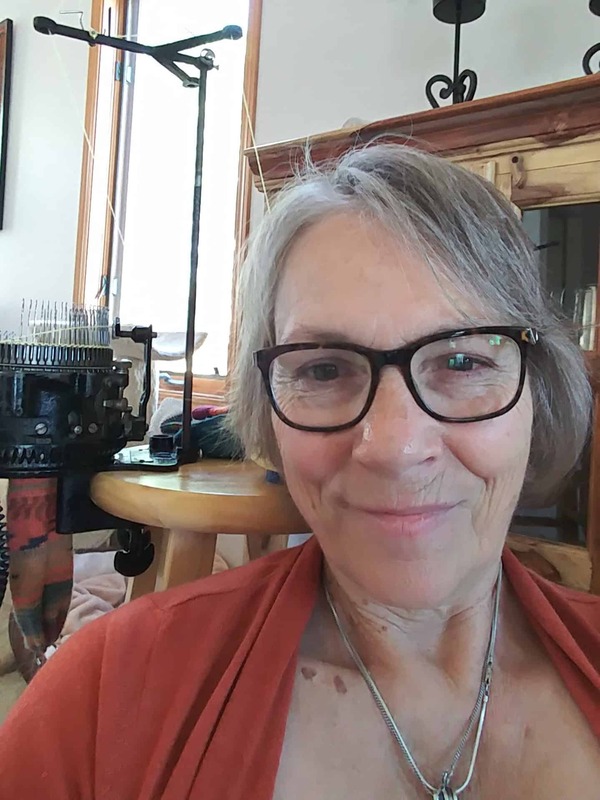 Currently she is the President of the Salida Fiber Festival that just marked its sixth year with over 60 vendors traveling from New Mexico, Texas, Utah, Wyoming and Colorado. Visitors came to enjoy all things fiber and the beauty of the Arkansas Valley high in the mountains of central Colorado. Always trying to educate people, Sheryl and her friend Tracy did a demonstration of the Creelman Moneymaker and a new Erlbacher Speedster. Many people had no idea such machines existed. Sheryl’s life isn’t totally consumed with all things fiber. She does find time to go fly fishing with her husband Frank, take long walks with Rocky (pictured) and Hank (the Basset Hound) and spoiling Abby (our 1yr old granddaughter that just moved to Colorado). Email her at treasurer@cskms.org. Like many of you, Margaret enjoys a wide variety of fiber and craft activities – knitting, spinning, weaving, beading, and cranking – and has the stashes to prove it! 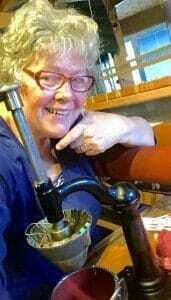 Thanks to enabling from Kathy Roletter, she brought home a bin of parts from a crank-in a couple of years ago, and now happily cranks away on an antique Gearhart and Legare 400. Margaret lives in Charlottesville, Virginia with her husband and fiber-friendly kitties. After a career in construction management, she has for the past 18 years worked with her husband performing business valuations for employee-owned companies. Fortunately the family business has a flexible schedule, as she loves to travel to the John C. Campbell Folk School for workshops, is president of the Central Virginia Fiberarts Guild, and is on the board and coordinates crafts demo volunteers for the Fall Fiber Festival of Virginia held in Montpelier Station, Virginia each October, and is the Membership Chair for the MidAtlantic Fiber Association. Find Margaret on Ravelry as lotsofyarn. Email her at web@cskms.org. ​ Location, location, location! Living in Minnesota, I am fortunate to live near many long time, experienced, and helpful crankers. So I had a great support system to start. I was already an obsessed yarn collector, aka knitter, when I stumbled across Ravelry’s machine knitting forums. There I lurked for a couple of years until a Home Profit Master Machine fell into my lap. My CSM obsession grew quickly. Now I’ve got a few more machines. And I spend too much vacation time each year attending crank-ins. Cranking is the perfect marriage of some of my favorite things: yarn, learning, teaching, socializing/not socializing, making things, and troubleshooting! It’s sort of like what I do for a living, except there’s not enough yarn in my workplace….yet. Find Zoe on Ravelry as zed. 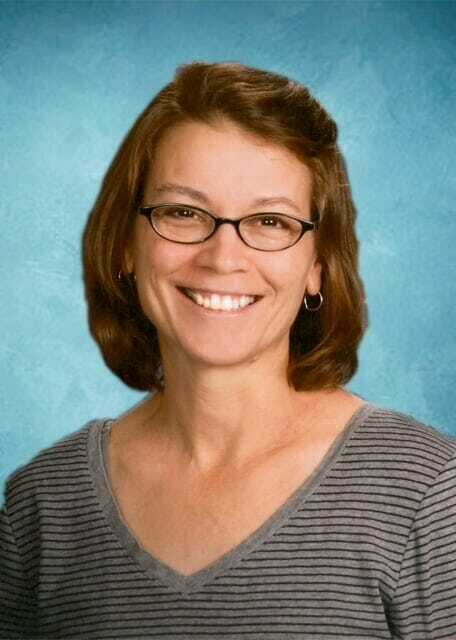 Email her at newsletter@cskms.org. Michelle found fiber crafting while in the US Navy as a way to relax from the busy days at sea and fell completely in love with it. 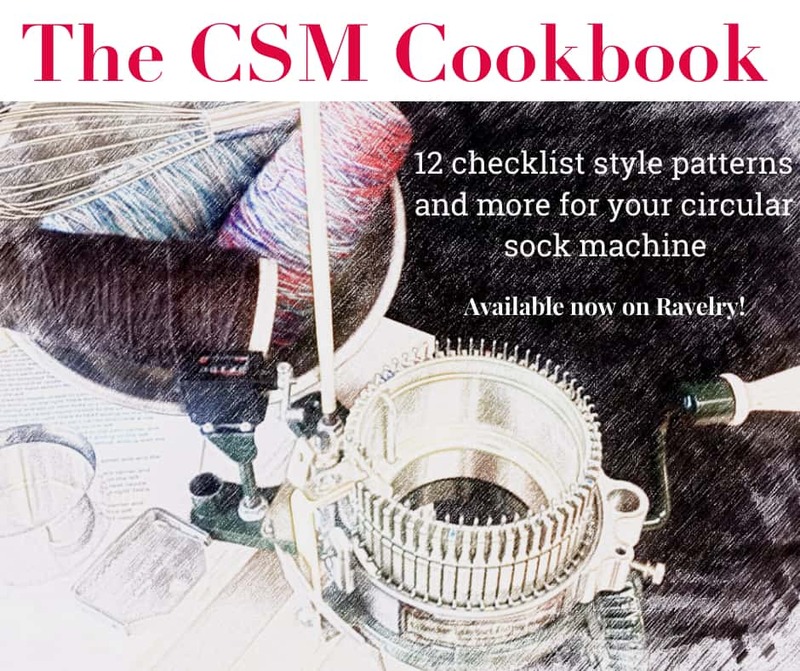 Then, through friends on Ravelry she saw CSMs for the first time and loved the idea of a machine to make socks. 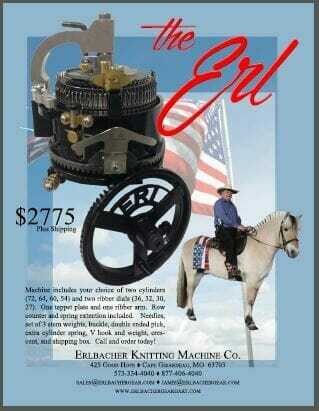 She bought a refurbished Antique Gearhart and went to her very first crank-in. She loved learning more about these machines and decided shortly afterwards that she truly wanted a Speedster. She has given that antique machine to her mother and now only uses that speedster for her cranking. 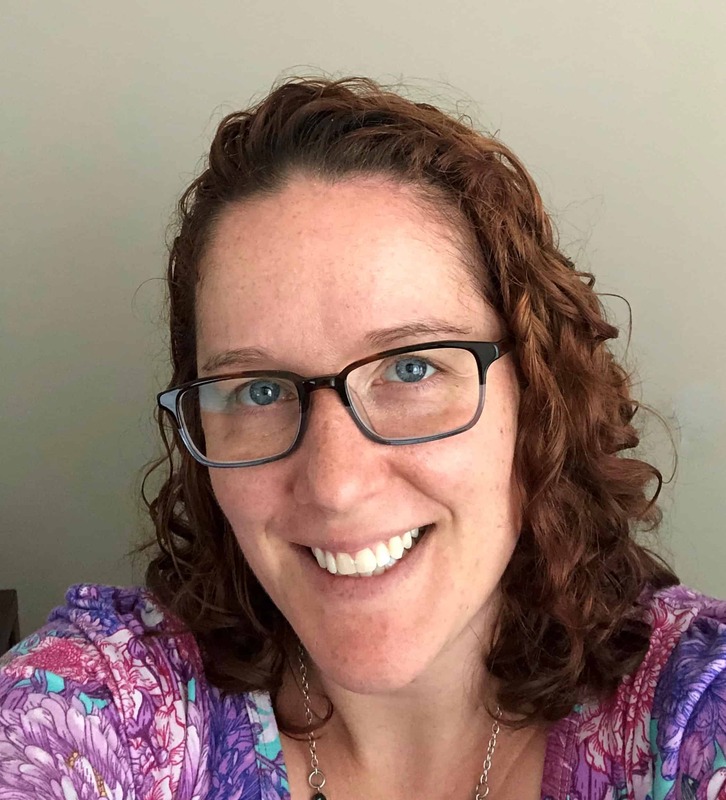 Michelle Lives in Alexandria, VA with her husband and 4 year old son and works as a contractor to the US Navy, trying to balance being a pre-school mom and wanting to craft! Find Michelle on Ravelry as MKGDolphin27. Judy lives in Hot Springs, SD with her husband Tom and 5 cats. Judy works for the Department of Veterans Affairs in Hot Springs, trying to make a slow transition into retirement and is counting the days to when she can pursue her hobbies full time. 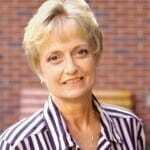 Judy is a mother of three and grandmother to ten awesome kids. Her fiber journey began at age 6 when her aunt taught her how to crochet. She then proceeded to crochet doll clothes for her own as well as friend’s dolls. Growing up in Germany, she was also exposed to all manor of fiber craft – which she didn’t always appreciate. Her four brothers, the outdoor and trees for climbing took priority for a while. She picked up the knitting needles again when she was pregnant with her oldest. Progressed from baby clothes to sweaters and learned very quickly to look for patterns to knit in the round as piecing was not her favorite. For many years projects where Fair Isle or Icelandic Sweaters and complex Aran knits. 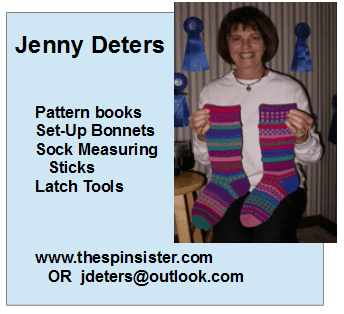 As life became more busy with full time work and growing kids, she switched to socks, knitting many pairs by hand. Judy was born and raised in Germany and every trip to visit family resulted in a suitcase full of Regia yarn hauled stateside – especially when the self patterning and self striping yarns became first available. Now with so many beautiful yarns available in the US, her hoard has grown to “Stash exceeds life expectancy” proportions. Searching for a particular type of heel on youtube she found a video of a CSM and knew she had to have one. In 2014, after much research, a LeGare 400 found its way into her home and since has been followed by a variety of machines. A big part of her love of the old machines is the finding, cleaning and getting them to knit aspect. A passion for teaching and helping others continues to bring her much joy as she shares her knowledge and often her machines with others. 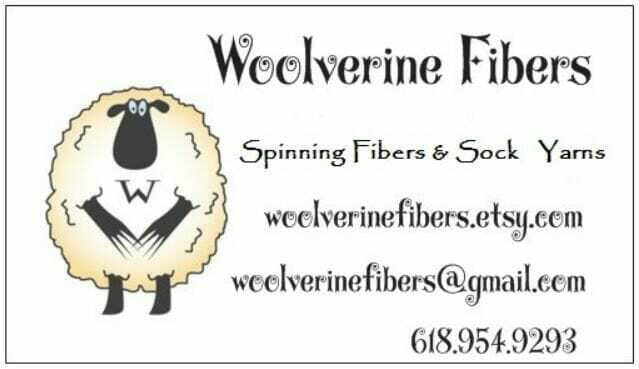 Most recently spinning has been added to her fiber adventures and next up will be weaving. Retirement can’t come soon enough! 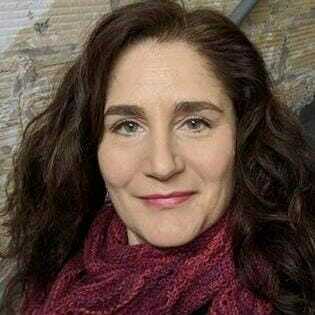 Victoria Jicha retired in 2011 from a professional music career that was diverse and extensive. It included performing and teaching throughout the Chicago area on flute and harpsichord, a 20-year position as Organist and Choir Director at St. David’s Episcopal Church in Glenview, Illinois, and the publication of numerous orchestral works transcribed for flute choir. 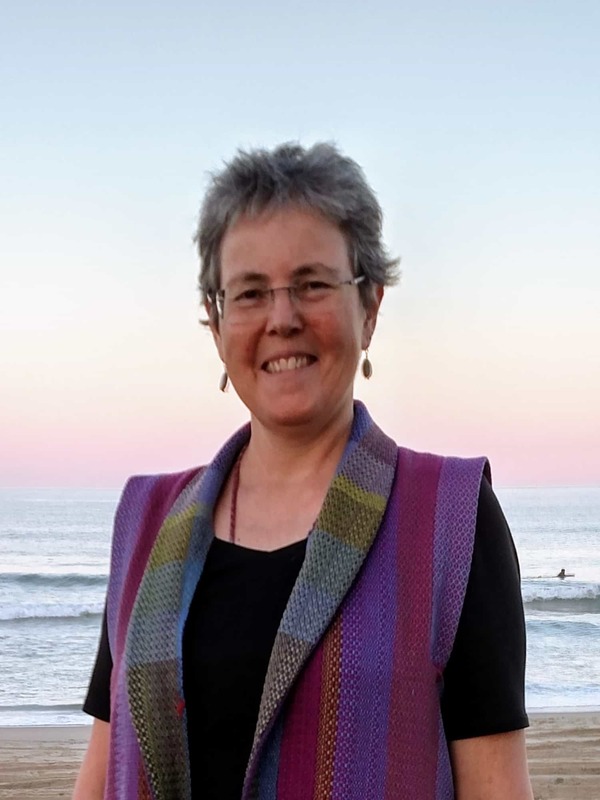 The last 10 years of her career were spent as Editor of Flute Talk magazine, a position that she used to move the magazine from targeting flute students to a publication for professional flutists and educators. She earned the T.K.G.A. 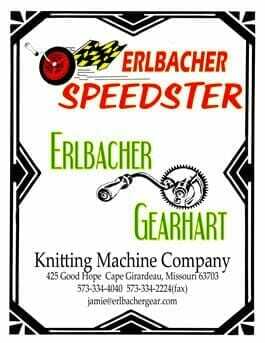 Master of Hand Knitting certification in 2008 and bought her first, and only, Erlbacher Gearhart sock knitting machine in 2012. 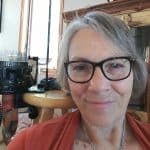 She has been President of the Bay Lakes Knitting Guild and the Evergreen Quilt Guild, both Green Bay, WI organizations. She also loves baking just about anything from scratch, is a sourdough enthusiast, and wastes way too much time on Facebook. Victoria’s Ravelry avatar is victoriajicha.